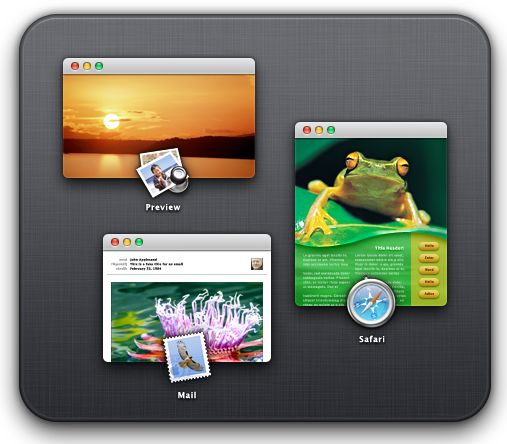 If you use OS X Lion, you’re probably aware of Mission Control: a new feature that displays all your currently open windows, as well as Spaces. While this feature is functional, it’s not at all customizable, but thanks to a few file edits, you’ll be able to change Mission Control’s standard fabric background to something else more personal. 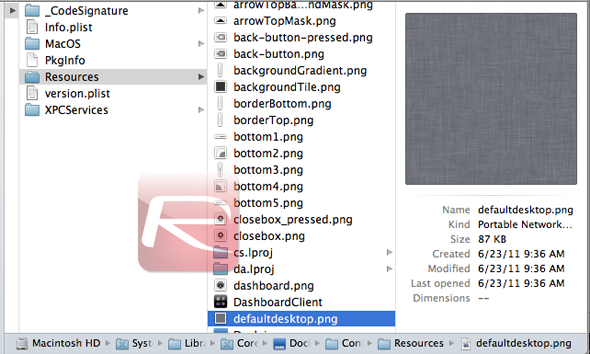 Step 1: launch Finder and navigate over to System/Library/CoreServices and locate Dock.app. Step 2: right-click that app and select "Show Package Contents". This will allow you to actually edit the files within the app. Step 3: from within Dock.app, navigate over to Contents/Resources. Locate defaultdesktop.png and rename it to anything else you want. Step 4: leave Dock.app as it is and navigate over to /System/Library/CoreServices. Back up DefaultDesktop.jpg and replace it with the file you’d like to set as the background for Mission Control. Step 5: log out and log back in to see the changes! You can alternatively just launch the Terminal (Applications/Utilities/Terminal.app), type in killall Dock and press the Enter key. This will restart your dock. Step 1: locate Dock.app in System/Library/CoreServices. Right-click on it and select "Show Package Contents". Step 2: navigate over to /Contents/Resources and locate pirelli.png. Just back it up and change it to anything else you’d like. If the file isn’t large enough, it will be displayed as a pattern. Step 3: as with the previous steps, you’ll need to log out and log back in to see the changes you’ve just made, or just perform the Terminal command we mentioned above.